A memorial service for David Stammer, of Starbuck, Minnesota, will be held on Friday, February 8, 2019 at 11:00 a.m. at the Starbuck Funeral Home in Starbuck. Visitation will he held one hour prior to the service at the funeral home. Burial will be at Indherred Lutheran Cemetery at a later date. 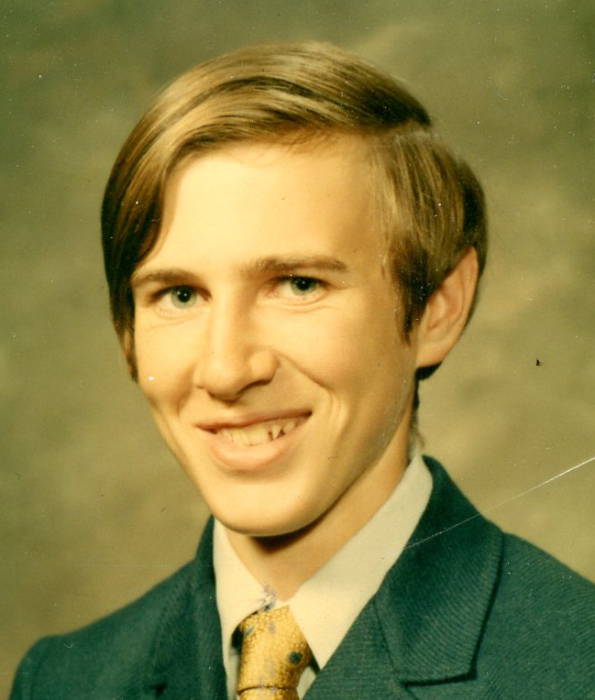 David Warren Stammer, son of Robert and Dorothy (Burke) Stammer, was born on July 24, 1954 in Oakland, Nebraska. He was baptized at First Presbyterian Church in Bancroft, Nebraska. In 1957, David’s family moved to Starbuck, Minnesota. He was confirmed at Indherred Lutheran Church. David graduated from Starbuck High School in 1972. Following his schooling, David joined the Minnesota National Guard. David worked at Glenwood manufacturing from 1973 to 1984. In 1984, he moved to Greeley, Colorado where he worked for Winograd Steel Company. In 2007, David returned to Starbuck to help care for his parents. He continued to live in Starbuck until the time of his death. David enjoyed hunting, fishing, reading, watching westerns, visiting and telling stories. He was always known around Starbuck by the nickname Tiny. David died on Saturday, February 2, 2019 at his home in Starbuck. He was 64 years old. He is survived by one brother: John (Kathryn) Stammer of Starbuck; one sister: Roberta (Douglas) Kuhnau of Farwell; four nephews: Steven (Megan) Kuhnau, Jon (Kristina) Kuhnau, Neil (Kati) Kuhnau and Bradley Kuhnau; two nieces: Renee (Hans) Helgenset and Katie (Andrew) Christensen and 19 great-nieces and nephews. He was preceded in death by his parents and two nieces: Melissa Stammer and Wendy Kuhnau.